Do you eat, sleep and breathe Beyonce? Do you go about your day as if you are Beyonce? Do you feel every lyric Bey sings and relate to every word Bey says? 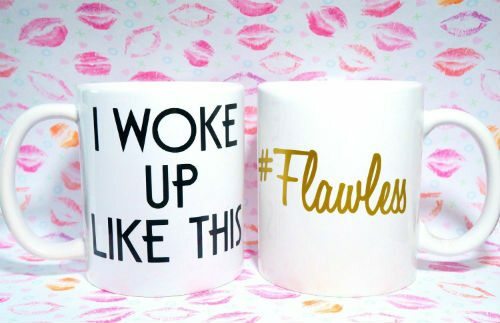 Sip tea or coffee from this mug and remind yourself to channel your inner Queen B, always. Cute, right? Caps are always in fashion so why not join the trend by wearing this “Cause I Slay” one! It’ll be the cutest addition to your outfit this summer! Here’s a t-shirt all Bee-Hivers should own! 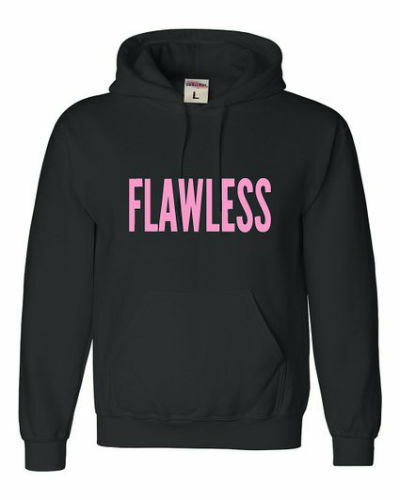 Depicting all the badass stages of Beyonce throughout the years, this item of clothing is the best way to show off your support for the Queen. Looking for Beyonce birthday gift ideas? This mug will let you drink coffee in style! You’ll never run out of flawlessness if you’re sipping a hot beverage from this! Want to drive the press crazy? Walk around wearing this t-shirt and get the headlines buzzing. OMG could you be “Becky with the good hair”? Some people put religious icons on their walls, the Beyhive put their queen. This clock featuring Beyonce’s face and her “I Slay” slogan makes a perfect gift, especially for those about to celebrate a birthday. There are so many Beyonce themed presents, but this one stands out! Let’s be honest, we can’t all be Queen Bey. In actual fact, we don’t always wake up flawless. To be frank, sometimes, we wake up #tired. If you’re one to laugh at yourself, get a hold of this funny mug. Wake up feeling Flawless by adding this cushion case to your set of pillows. If you woke up looking hella flawless and fly, this pillow case will confirm it. Carry Beyonce everywhere you go by hanging this keychain on your set of keys. There’s no better, subtle way to show off your fandom! Who said Beyonce is only loved by girls? If you know a boy who loves Yonce, make sure he’s wearing this unique t-shirt. He’ll be standing out in the crowd! Do you, like Beyonce enjoy a drizzle of hot sauce with your meal? Perhaps you carry it around with you everywhere you go? This bag says it all. If you have hot sauce in your bag (swag) and you drink lemonade on the regular, consider yourself a true Bey fan! Beyonce should be part of every moment of your day. Carry this bright Beyonce bag with you everywhere you go and store your fave bits and pieces inside it.